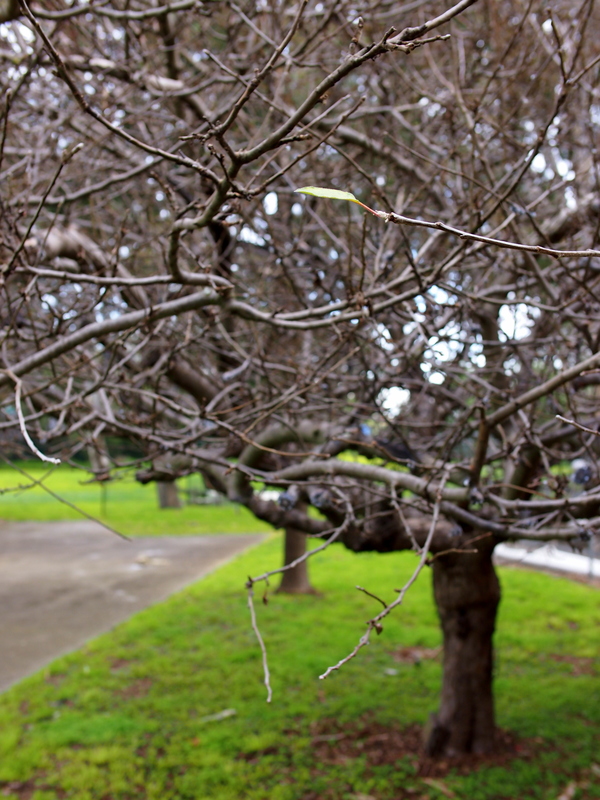 I tried to capture that this lonely leaf is the only one on this entire apple tree (which is apparently a descendant of the famous Newtonian one). I don’t think I quite succeeded, but I couldn’t come up with any better ideas. It should be there still when I see it again, so please give me any suggestions you might have.